The 1939 W154 chassis was designed for the 1938 seasons new regulations. It won the championship that year so for ‘39 it was simply upgraded with a new engine and sleeker body work. There is a lot of confusion about the designation of the 1939 car as it is sometimes referred to as the W163. It should more rightly be called the W154-M163, W stands for ‘Wagon’ meaning the chassis type and M stands for ‘Motor’. Also adding to the problem is the fact that not all the 1939 cars ran with the M163 engine. The 154 was designed by Max Sailer, Albert Hess, Max Wagner & Rudolf Uhlenhaut. Uhlenhart was also an exceptional driver and could test the cars performance himself, this made development work very easy. It’s Oval tubular frame chassis was made from nickel-chrome molybdenum making it very strong and rigid. The Indepandant front suspension was by wishbones, coil springs, hydraulic dampers, while the rear had a De Dion axle with torsion bars and cockpit adjustable hydraulic dampers. The German GP was the 3rd race of a truncated 4 race European championship, the 1939 season being interrupted by the outbreak of World War II. Although Auto Union driver Hermann Paul Müller lead the points standings at the out break of hostilities, the German motorsport authority declared Mercedes driver Hermann Lang Champion! There has been much dispute about this but the results of the championship have never been officially announced. As for the race; after Qualifying Hermann Lang, held pole in a time of 9:m43.1s. Beside him was the Mercedes of von Brauchitsch. Caracciola was 3rd and the leading Auto Union of Müller 4th. The race was 22 laps of the 14.173 mile circuit making a race distance of 311.82 miles. In a race blighted by bad weather Caracciola came to the fore and set the fastest lap at 10m:24.2s. This was impressive for the wet conditions and underlined Caracciola’s title as Regenmeister. The only Mercedes to make it to the end of the race, Caracciola came through to win by 57.8s from Auto Unions Hermann Paul Müller. For the 1939 Tripoli GP the Italians decided to favour their teams by running the race to 1.5ltr engine capacity instead of the 3ltr of the European championship races. 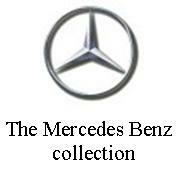 Mercedes didn’t get mad, they simply got even........... They scaled down the W154 and M163 to produce the W165 car, entered Herman Lang and Rudi Caracciola, and won the race anyway! Revivals kit promises much but proves to be a challenge to the builder. This model was built from the plastic version (Revival also produced a pre-painted metal body version with pre-built wire spoked wheels) and besides some obvious fit problems the plastic is not very responsive to most styrene adhesives. This is frustrating as some of the detail is very good and prompted Ian to go to town on the super detailing. A lot of parts were upgraded notably the carb’s on the front of the supercharger and the radiator. Hex’ NBW’s were used to detail the suspension along with some reshaping to make it more accurate. I think we’ll let the pictures speak for themselves. Ian opened all the louvers by thinning the plastic body on the inside then using a knife to do the final cut through. Although it was tempting to replace the plastic spokes with wire ones Ian found that using a knife to round off the backs of the plastic spokes made the wheels more realistic and was rather less hard work. Built in the late 1990s the body is painted with Halfords car paints and detail painting is done with Citadel acrylic paints. Citadels range of ink washes has also been used to give the seat some depth and for the heat staining on the exhausts.